HostForLIFE’s servers are optimized for web applications such as Perch. The performance and the uptime of the hosting service are excellent and the features of the web hosting plan are even greater than what many hosting providers ask you to pay for. What is European Perch Hosting? Perch has been designed to solve the problems freelance designers and agencies deal with every day. Perch lets you turn static websites into a CMS. It works with your existing tools and workflows, with no cumbersome themes to create. Their simple, streamlined admin UI means no more calls from clients who can’t remember how to edit their sites. Their commitment to make the code super-efficient means your site loads fast. Perch admin UI is kept clean and straightforward as we don’t bundle everything plus the kitchen sink with the core product. 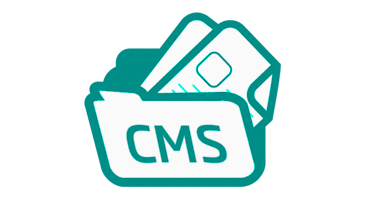 Their templates enable the addition of help text in CMS forms so you can guide your clients and maintain the content strategy even when you aren’t there to hold their hands. Why Choose HostForLIFE.eu for Perch Hosting? Try our Free Perch Hosting today and your account will be setup soon! You can also take advantage of our Windows & ASP.NET Hosting support with Unlimited Domain, Unlimited Bandwidth, Unlimited Disk Space, etc. You will not be charged a cent for trying our service for the next 3 days. Once your trial period is complete, you decide whether you'd like to continue.